Advanced anti-virus protection for your Mac. Is there a better alternative to Kaspersky Anti-Virus? Is Kaspersky Anti-Virus really the best app in Virus category? Will Kaspersky Anti-Virus work good on macOS 10.13.4? 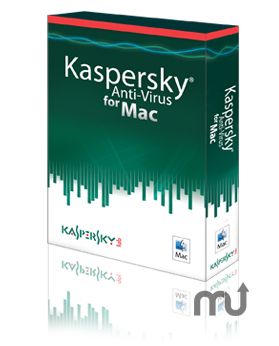 Kaspersky Anti-Virus... Advanced anti-virus protection for your Mac. Stops malware before it can be passed from your Mac onto PCs and other systems on your network. Small, frequent updates. Outstanding performance. And a familiar Mac-type interface. Version 8.0.6.863: Release notes were unavailable when this listing was updated. Kaspersky Anti-Virus for Mac offers advanced protection from all known types of malware threats, including viruses, worms, Trojans and bots. Files are scanned when opened, downloaded or saved, protecting you from over 30,000 new threats every day - including those specifically targeting Macs. Your music, photos, videos and personal information remain safe and secure. And you're protected from passing PC malware from your Mac onto PCs on your network. Kaspersky Anti-Virus for Mac ensures your security is completely up-to-date without you having to lift a finger. Small, frequent updates protect you from newly-identified threats on a daily, or more frequent (as necessary), basis. And your security software is automatically updated to the latest versions as they are released. Every file you download from the Internet is checked for malware. All identified threats are blocked and accompanied by an alert to you. Real-time scanning protects your email messages and attachments. All identified threats are blocked and you are alerted. A familiar, customizable Mac-like interface makes Kaspersky Anti-Virus for Mac highly intuitive and user-friendly. Kaspersky Anti-Virus for Mac delivers award-winning protection while consuming less than 1% of your Mac's available processing power. Kaspersky Anti-Virus for Mac uses a variety of techniques to ensure that your security software cannot be modified or deleted. And password protection prevents individuals or malware from disabling or making changes to your anti-virus settings that could leave your Mac more vulnerable to attacks. Kaspersky Lab offers free technical support from qualified, North American-based technicians via telephone, email and IM. Additional support includes FastTrack Support containing an FAQ database, and Kaspersky Knowledge Base, an online database of detailed answers to questions about installing and using Kaspersky Lab products.